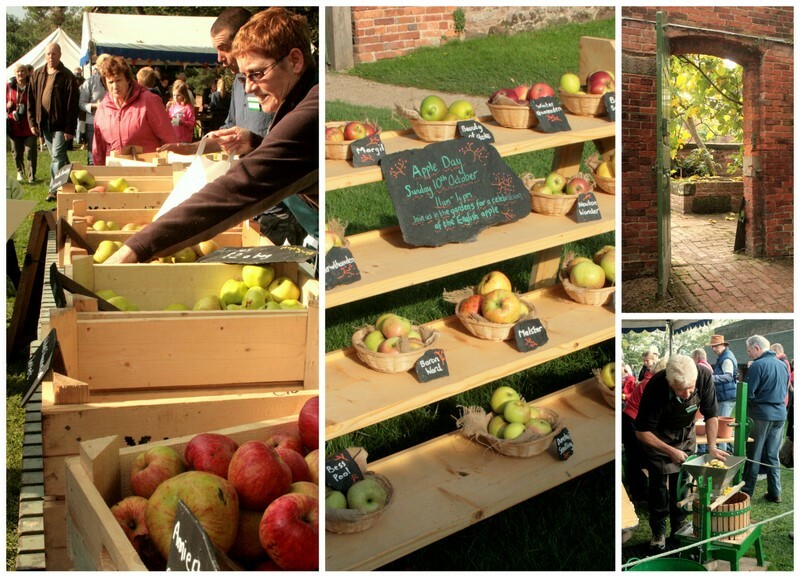 On Sunday it was the Calke Abbey Apple Day. We attended last year and knew we had to return for the apple sale. Many varieties of apples from the orchard were for sale at around £2 for 1kg bag. We raced the WI contingent for the quinces so we can make our annual batch of quince jelly. We got there only 15 min after it opened and they were already running low on quinces. Apples are very much a fruit we take for granted. 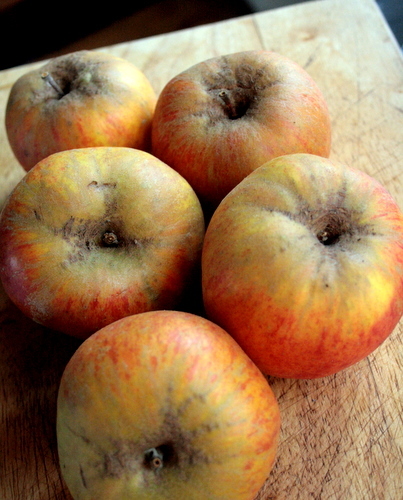 We’re so used to being able to buy them all year round and this can leave our humble British varieties of apple, of which there is over 2000, feeling undervalued. Over the last few weeks there has been many events throughout the UK celebrating the wonderful fruit that is the British apple. From the everyday eating apple to apples more suited to culinary uses all types have been celebrated along with the odd quince thrown in for good measure. It just so happens that this year has also been a fabulous year for apples thanks to the sharp cold winter we had this year that helped kill off many of the pests that blight the apple tree. Yesterday in National Trust’s Calke Abbey held an Apple Day within the gardens while bathed in some glorious Ocober sunshine. Along with being able to taste various varieties of apples there were apples to buy, children’s activities and apple juice that was being made there and then. Freshly squeezed apple juice is unlike anything that has bee bottled. Watching all this happen has made Hubs even more determined to make cider this year as we have so many apples in friend’s gardens that need using up. 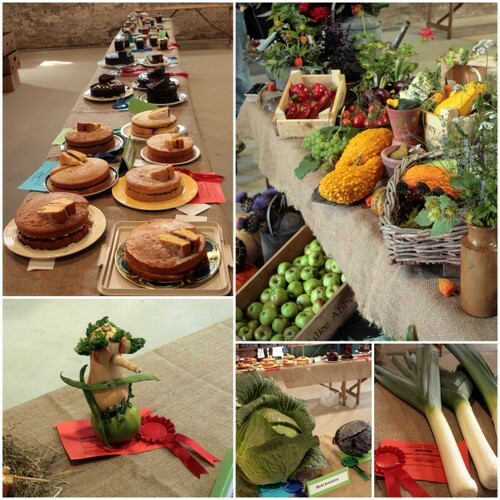 Calke Abbey have quite a few events coming up in the next few months and even if you don’t go to an event the kitchen gardens are always worth a visit. I’ve mentioned Grandma before, she’s a bit of a legend. One of her favourite things in life is cream cakes and she’s also the Queen of all things scone. It’s her recipe I use for scones and that I teach all of my pupils because it always works perfectly. For the last few weekends we’ve been taking her out to places for Cream Tea. For those who are not aware of this British tradition Cream Tea is essentially a pot of tea served alongside a place of fresh scones, jam and cream. A lighter version of an Afternoon Tea. Grandma lives in South Derbyshire so at the moment the places we’re trying are within this area. Another thing to consider is that she is in a wheelchair that is proving to be interesting when we’ve taken her out for meals in the past. Accessibility of a place was not something I had really appreciated until recently. Calke Abbey is a National Trust property to the south of Derby with an interesting history. The Kitchen Gardens are well worth a visit and the paths up to the garden made it accessible for Grandma…though Hubs did regret refusing a lift in the adapted golf buggy when he began to push her up the gravel tracked incline. National Trust members can park at Calke Abbey for free, if you are not members it costs ﻿: adult £1.60, child 50p, family £4.20. As we regularly go to this NT property the membership soon pays for itself. Service: 7/10 You order and receive your Cream Tea at the till. It was a very busy Sunday afternoon when we visited and some tables took a while to be cleared but we didn’t have to queue at the till long and finding a seat in the courtyard took no time at all. Surroundings: 8/10 Calke Abbey restaurant is within the old restored courtyard which was busy with both dog walkers and visitors. When the weather is less than desirable there is also seating inside. Quality of tea: 7/10 Run of the mill Breakfast Tea that wasn’t anything special but wasn’t awful. It was served hot with enough milk, sugar. Quality of scone: 9/10 Each Cream Tea is served with two giant scones. One plain and one sultana scone. They are made in the Calke Abbey Restaurant kitchen and it was clear that our scones had not long come out of the oven. Perfect texture with a good taste. No scrimping on the sultanas. Quality of jam & cream: 8/10 Small jar of good quality strawberry jam. If I was to be fussy you could do with a tiny bit more jam as you have two monster scones. The cream is Lubcloud’s Extra Thick cream. Divine stuff and the closest you get to clotted cream around these parts. Has the texture of silky butter. Amazing stuff! 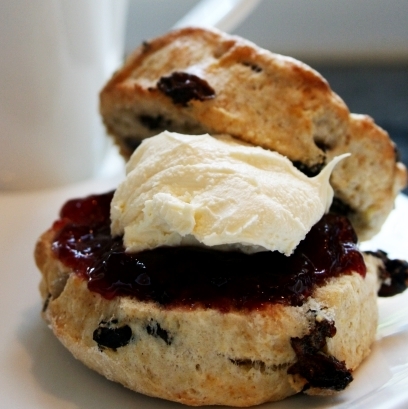 Price: £4.99 for two scones and pot of tea for 1. A local farm that is well known for its PYO. A few years ago they built a farmshop and cafe. They used to have quite an extensive menu, but now is more the kind of place for stop for tea and cake. Service: 7/10 You order at the till then they deliver to your table. Service was quick and efficient and all the tables were clean and tidy. Surroundings: 6/10 A newly constructed ‘barn conversion’. Downstairs the room is quite quiet and small, but there is seating upstairs and if the weather is good there is quite a few picnic style tables outside which are also suitable for wheelchairs. If sitting outside you have views over the strawberry fields and the 4 counties of Derbyshire, Leicestershire, Nottinghamshire and Staffordshire. Quality of tea: 8/10 They served a really good tea served at a good temperature. Wasn’t Breakfast Tea, maybe Darjeeling but can’t be sure. What ever the tea was it was superb. The teas were served with speculaas and although these are not traditional Cream Tea fayre I do like them and they remind me of holidays. I’m easily pleased! Quality of scone: 5/10 Nice, but in my eyes not a scone. These seemed to be more like sweet bread with the odd speckles of sultana.